A giant bamboo carry bag with double handles, featuring your printed logo. Choose the eco friendly option with these handy bamboo carry bags! 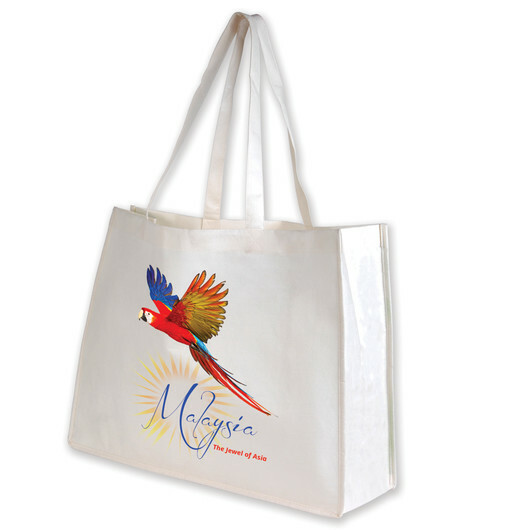 They have a huge capacity and promote your logo and an environmentally friendly message. 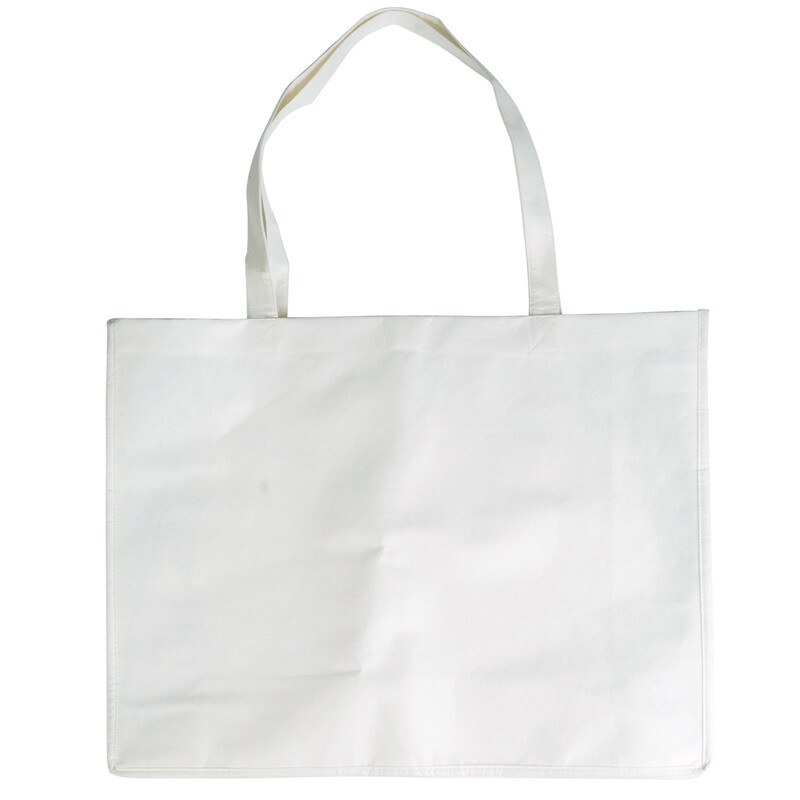 They boast a huge decoration area and are a great substitute for plastic bags when shopping or running errands. Dimensions Bag: 500mmL x 400mmH, Gusset: 160mmD, Handles: 640mmL.